Bring home a set of these durable, extra soft full size percale woven sheets from Luxor Treasures. Made with 100% cotton, these sheets are the pinnacle of luxury. 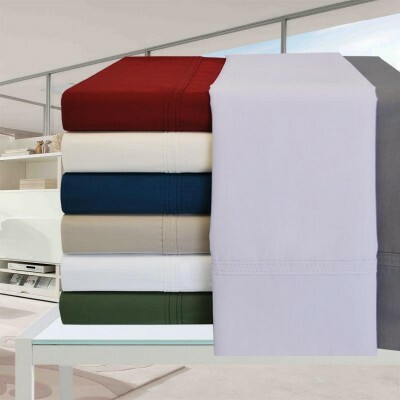 Our 300 Thread Count sheets are available in 8 Colors in Twin, Full, Queen, King, and California King. Each set includes a fitted sheet, flat sheet, and two pillowcases (one with twin set). 3pc Twin Sheet Set: (1) Fitted Sheet 38"x75", (1) Flat Sheet 66"x96" & (1) Pillowcase 20"x30"